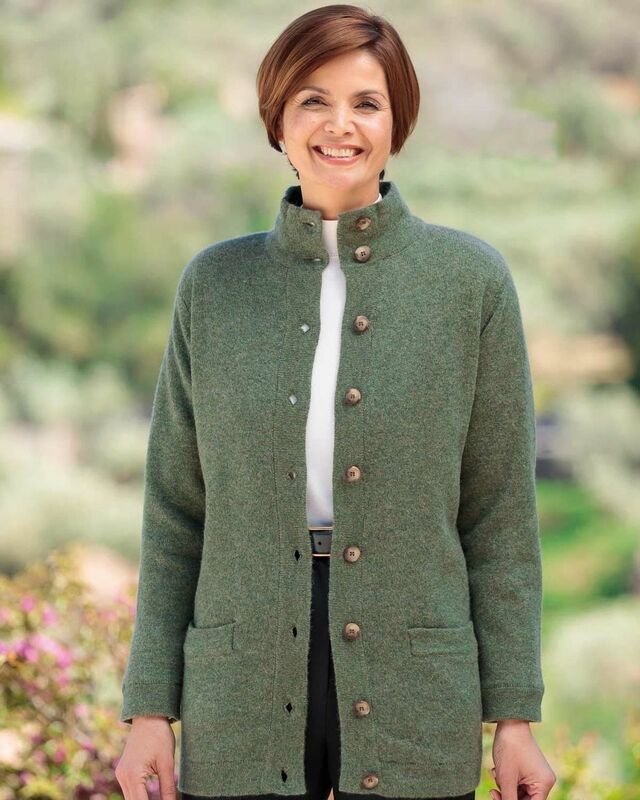 Ladies Georgina luxuriously super soft pure lambswool Jacket. Lovely article. Great colour and great quality. A lovely jacket , fits well, although not sure that the shoulder pads are really needed. Ladies new improved bestselling style jacket now available in luxuriously super soft pure lambswool. Fully Lined. Button through style with front patch pockets. A touch of luxury ideal item for cooler days, lightweight yet warm and comfortable. "Lovely article. Great colour and great quality. "